Looking for scarves, pottery, jewelry, prints, drawings, paintings, ornaments, and more? Come check out (and buy!) 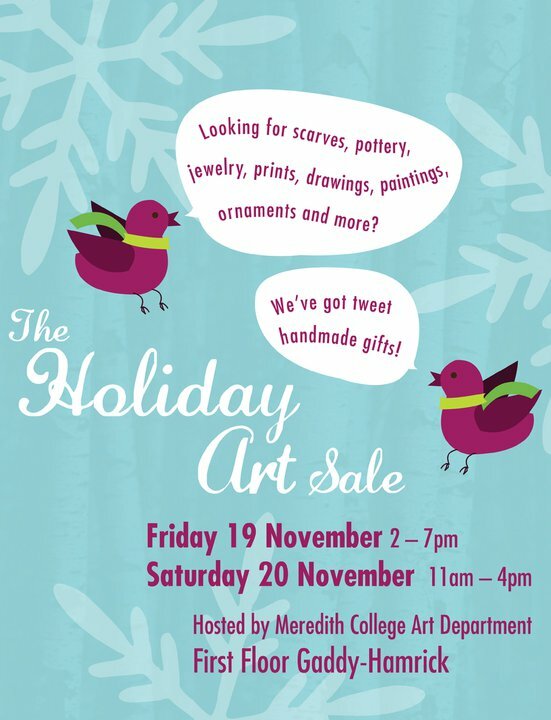 AWESOME artwork created by Meredith College art students and professors at the second annual Holiday Art Sale! Take advantage of this great opportunity to buy unique pieces by local artists!